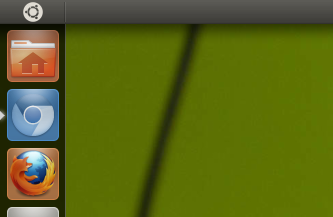 Ubuntu Home Dash Button on top left corner of Unity Interface (also known as BFB, Big Freaking Button) can be replaced by a new applet/shortcut on Unity launcher. There is already a branch for this on launchpad which suggest that BFB can be changed. 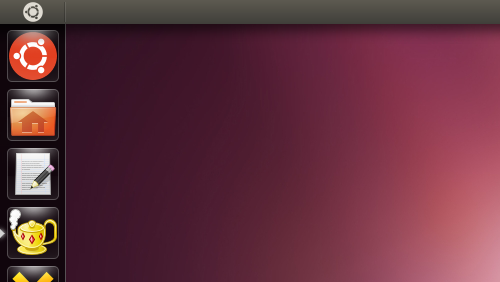 Andrea Azzarone, blogged about this recently and posted a screenshot that shows a new Shortcut with Ubuntu logo on it. The BFB is still there in the screenshot but this is probably going to change. Of course this is not final and everything is subject to change but this do hint that may be the Unity launcher will be made movable. Many Unity launcher customization options have landed in this cycle which include options for setting transparency, edge reveal time etc. The dash gets completely dark now in Oneiric replacing the top panel completely with just indicators. Also the Unity dash could get themes. So there are going to be some big changes in upcoming days as nothing major have landed yet and its almost time for alpha 3.